From the ground floor one bedroom apt the balcony was shaded all day Dmitri & family are lovely. 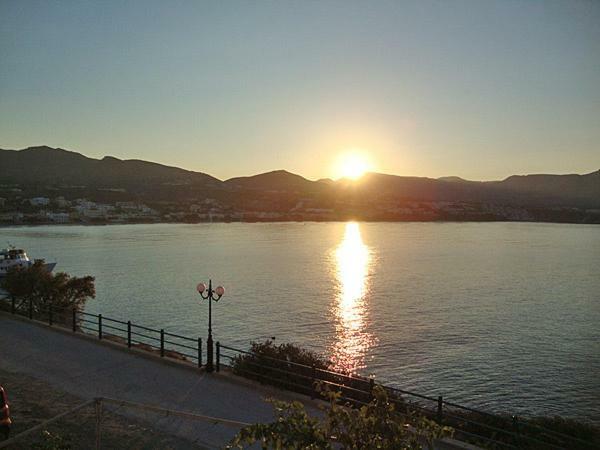 Makri Gialos is a perfect destination for us. Big enough for a choice of tavernas, lovely walks in the hills (especially past the White River Cottages-for the rich & famous). Down the hill for an early morning swim - sandy beach deserted at 6.30. 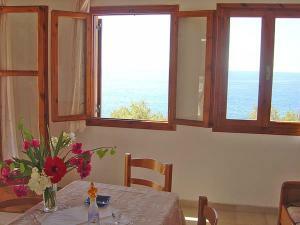 So for an elderly active couple stay in this village and at Akrotiri. Location is excellent. Very nice view. The gardens of the rooms are beautiful. Everything! Friendly owners who welcomed us with coffee, and in the room was water, raki and cake. We stayed six days and were given more biscuits, cake and raki during the week! 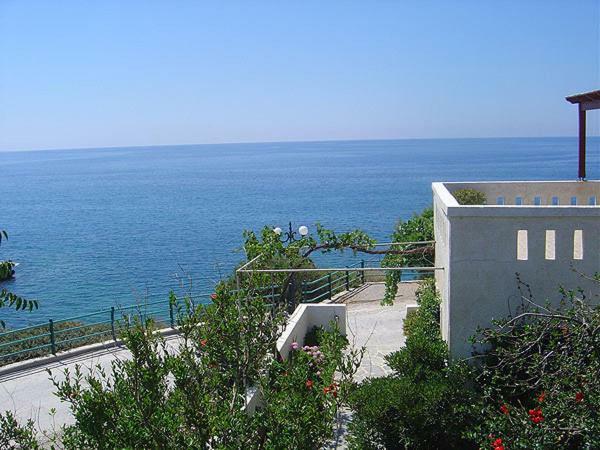 Marvellous position on a promontory into the bay, with panoramic views from the balcony over the sea and mountains. Nice main beach a minutes walk away in front of all the tavernas etc with pretty harbour, and superb quiet beach a minute walk in the other direction. 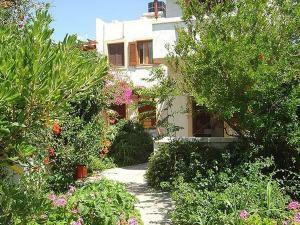 We have stayed in many rooms/apartments in Crete but this in our opinion was the best yet for £50 and under. Perfect place to relax by the sea. The view from the balcony was beautiful. Makry Gialos is a very nice village, the location of the apartment is perfect between two beaches and very close to the Roman villa. Very friendly and helpful hosts. Die ortsnahe und dennoch ruhige Lage sowie der herrliche Ausblick aufs Meer. Das App. ist Teil einer schön gestalteten Anlage mit separaten Einheiten. Der nahe Ortsstrand zeichnet sich durch feinen Sand, sauberes Wasser und guten Service aus. Der Ort hebt sich wohltuend von den ansonsten häufigen Bebauungswüsten ab und hat viel Atmosphäre. Wunderschöne Terrasse mit Rundumblick auf die Lybian Sea! The owners gave us a very warm welcome and even in the apartment some excellent homemade Raki and cake were waiting for us. Further, they were so cute and kind with our 3 year old son. The apartment is kept simple but has absolutely everything you need and we truly felt at home. Akrotiri apartments are very happily situated as you just walk down the hill and reach the village centre with restaurants and bars as well as the sandy beach with its shallow water - perfect for (small) children. 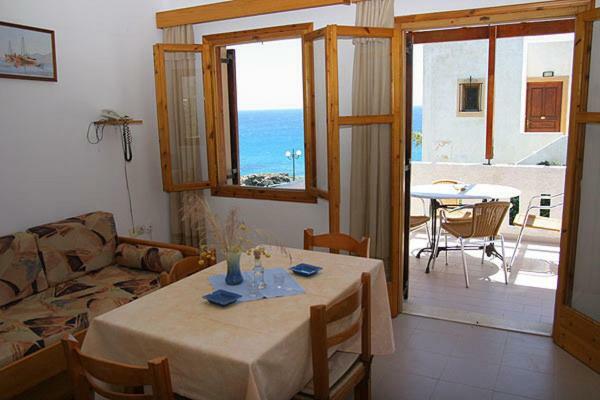 Lock in a great price for Akrotiri Apartments – rated 9 by recent guests! 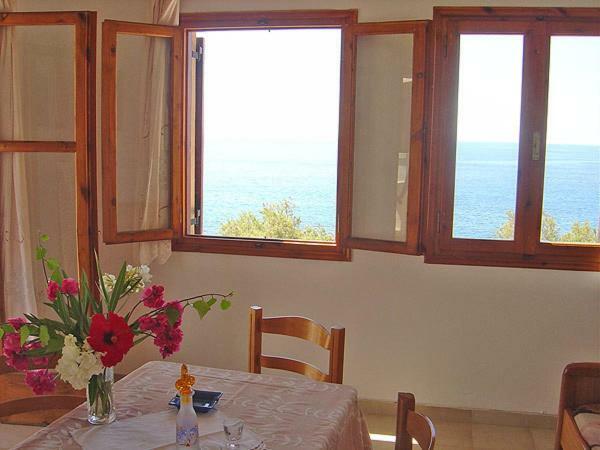 Featuring a garden and sun terrace, Akrotiri Apartments offers apartments with a balcony overlooking the sea. 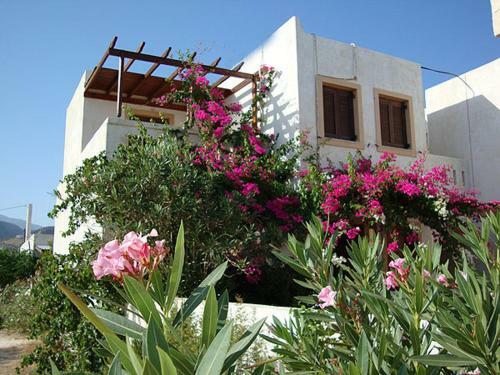 It is located on the beach of Makris Gialos in Crete. Restaurants and cafeterias are 350 feet away. Each air-conditioned unit includes a seating area and TV with satellite channels. The kitchenette features a coffee machine, electric kettle and fridge. The bathroom comes with a shower. Cleaning and towel change are offered every 3 days, and linen change once per week. Akrotiri Apartments is 16 mi from Ierapetra with its Archaeological Museum and Medieval Fortress. Heraklion International Airport is 75 mi away. 뀐 Located in the top-rated area in Makry Gialos, this property has an excellent location score of 9.9! 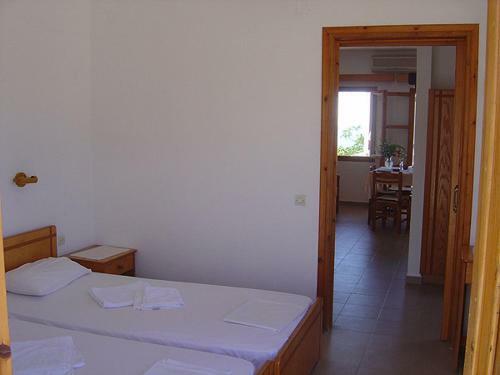 When would you like to stay at Akrotiri Apartments? Featuring a balcony overlooking the sea, the air-conditioned studio features a seating area and TV with satellite channels. The kitchenette includes a coffee machine, electric kettle and fridge. The bathroom comes with a shower. Featuring a balcony overlooking the sea, the air-conditioned apartment includes a seating area and TV with satellite channels. The kitchenette features a coffee machine, electric kettle and fridge. The bathroom comes with a shower. House Rules Akrotiri Apartments takes special requests – add in the next step! Nothing. The WiFi is not great but sit on the steps by Dmitri. The first night there was a bad smell in the room (probably the sink). We complained to the owners and they changed the room immediately. The new room was much better (cleaner and no smells). 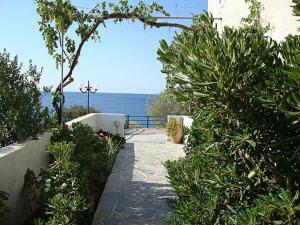 Marry Gialos is fine and has all the facilities you need but maybe not as pretty as some other south coast villages. Some curtains in the shower would be good. Bed was a bit hard.